If you operate a construction company that specializes in building highways, bridges, dams, or levees or one that does dredge and barge work, you likely use heavy equipment on a regular basis. Ritter Forest Products can help with this by providing those in the heavy construction industry with temporary access and heavy construction supports. Our construction timber supports will allow you to complete your heavy construction jobs more easily. In order to get temporary access to certain worksites, you will need the mat rentals offered by Ritter Forest Products, as well as heavy equipment support. These mats can be used to stabilize heavy equipment on even the most sensitive terrain, regardless of the weather conditions, allowing you to get to get to work with complete confidence. 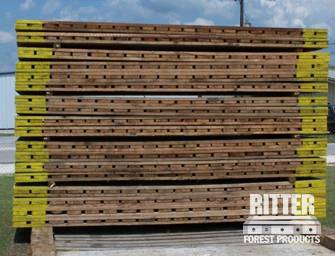 Whether you want to build a temporary road or keep your heavy equipment secure when using it on a slippery terrain, the new and used mats for sale for heavy construction through Ritter Forest Products will do the trick. Our laminated mats and crane mats provide temporary access and a more stable surface for heavy equipment. Temporary roads can come in handy when you are trying to maneuver heavy equipment around, especially when you’re attempting to do it on a worksite that has an uneven terrain. You can complete temporary roads creation for builders and contractors equipment by utilizing the heavy construction supports that Ritter Forest Products has in stock. We have construction timber supports that will allow you to set up temporary roads quickly. 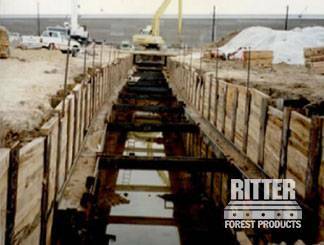 There are so many different options available from Ritter Forest Products for those who work in the heavy construction industry. We have laminated mats, crane mats, timber rentals and more. 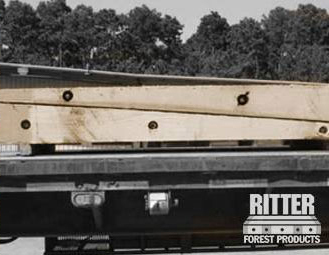 Our heavy construction supports are second to none, and when you use construction timber supports from Ritter Forest Products, you will keep your worksite safe and accessible at all times. 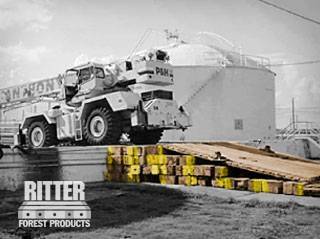 For more information on the mats and supports we have available at Ritter Forest Products, call us today.